Time for me to sign off. Please join us again at the weekend for more live Scottish football coverage, including Dundee United v Celtic on Friday evening. I think our boys ran Ross County very close. I don't think they could've done much more. They've been fantastic - a real team effort. They don't know how to get beat"
"Graham's physicality created space and De Vita crashed in his second goal of the season to seal County's passage into the next round"
Absolutely delighted to be in the next round but it was hard-fought. We've not played well over the two legs. We were lucky and we've certainly taken advantage of that luck tonight"
Ross County progress to the fifth round of the Scottish Cup and will host either Linlithgow Rose or Forfar Athletic early next month. Rafa De Vita was the matchwinner for County. Alloa claim a late win at Stark's Park, courtesy of Iain Flannigan's penalty. Dunfermline have a corner and goalkeeper Sean Murdoch joins his team-mates in the Ross County box but quickly has to rush back after the Pars fail to get the ball in the box. Four minutes of stoppage time begin in Dingwall. Iain Flannigan is fouled by Iain Davidson and the Alloa man converts the penalty to put the Scottish Championship's bottom side ahead. Still deadlockedin the Scottish Championship match at Stark's Park. Scott Fox punches clear under pressure from several Dunfermline players. The visitors are running out of time to force extra-time. Dunfermline have made their final change with Michael Moffat making way and Ryan Wallace coming on. Goalscorer Rafa De Vita is booked after a clumsy challenge. Rhys McCabe replaces Ben Richards-Everton for Dunfermline. Fifteen minutes left in Dingwall. 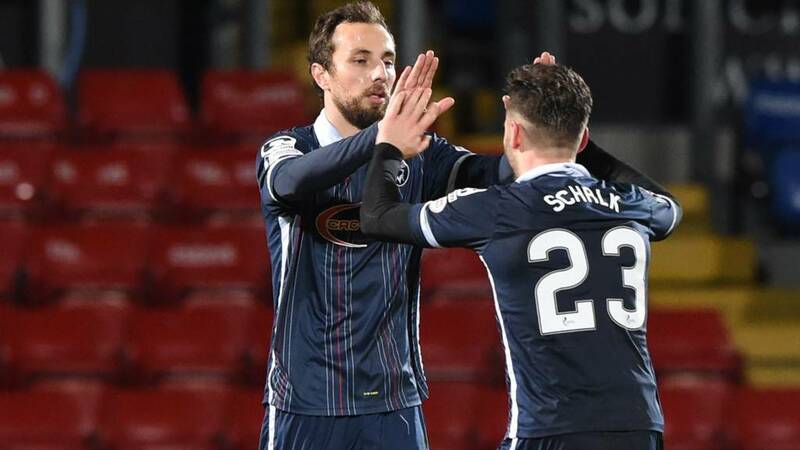 Rocco Quinn takes over from Alex Schalk in Ross County's latest change. "Super sub Rafa De Vita picks the perfect time to get only his second goal of the season for Ross County with 20 minutes to go. "Good cross by Michael Gardyne, Brian Graham used his strength to create the opening and it was a great finish. "Just after Faissel El-Bakhtaoui missed the best chance of the game at the other end too. Can the Pars battle back for a third time in this tie?" How Dunfermline will be ruing that miss. Brian Graham's perseverance in the box pays off as he puts the Pars defence off and, after Jason Talbot fails to clear, substitute Rafa De Vita buries it on the volley.